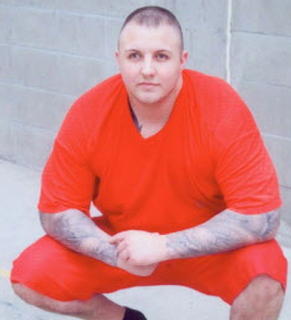 Red Scorpions leader Jamie Bacon is charged with counselling to commit the murder of Person X, currently serving time for another gangland crime. Jury selection was slated to begin Monday, but has been pushed back to Jan. 19. The trial had initially been scheduled to begin in April of this year. This is the third delay. 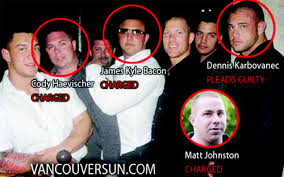 Bacon has been in custody since April 3, 2009, when he was arrested in connection with the Surrey Six killings. Those charges were dropped last December, after years of closed pre-trial hearings. The crown is appealing. 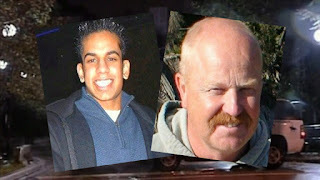 The judge’s reasons for granting the defence’s request for the stay were sealed. Cody Rae Haevischer and Matthew James Johnston were convicted of six counts of first-degree murder.